1. Take a dog treat and put about 1 cm line of Organic or sugar free peanut butter. 2. Put 3 strings of shredded cheese on. 3. Add some Cheerios and thin apple slices. 4. Add tiny amount of shredded carrots. 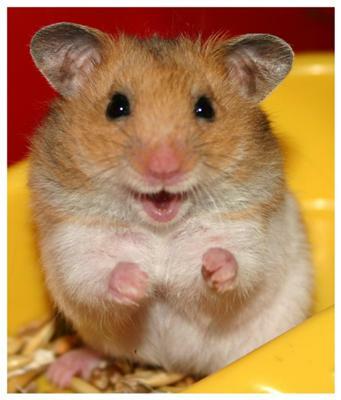 Note: Peanut butter in hamster's mouth can cause choking. Warning: give once every 1-2 months.